Fordham Road BID will incorporate One Fordham Plaza into the Bronx BID. On July 9, 2014, the City Planning Commission approved the Fordham Road District Management Association’s application to expand the Fordham Road Business Improvement District to include two new lots located directly to the east of the existing BID. The new lots are bounded by East Fordham Road to the north, East 189th Street to the south, Park Avenue to the east, and Washington Avenue to the west. The BID currently stretches along Fordham Road between Jerome Avenue to the west and Webster Avenue to the east. The BID lies within parts of Bronx Community Boards 5, 6, and 7; the expansion lots are located entirely within Community Board 6. The purpose for the expansion is to include One Fordham Plaza, a 14-story office building, and the Fordham Plaza public space in front of One Fordham Plaza, into the existing BID. The existing BID which consists of eighty properties are primarily commercial, with one mixed-use property with fifty housing units, and several non-profit institutions, including Fordham University, the Bronx Public Library and the 1199 SEIU healthcare workers’ union. One Fordham Plaza is currently occupied by such tenants as Applebee’s, Famous Footwear, Party City, Subway, TJ Maxx, New York State and City government agencies, and Montefiore Hospital. The BID plans to assume management of Fordham Plaza, renovate the Plaza, and install retail vendor kiosks and public seating. As part of the expansion, the BID requested a cap on assessments of BID properties so that no individual property would pay more than $45,000 per year. The total BID assessment is currently $670,000. 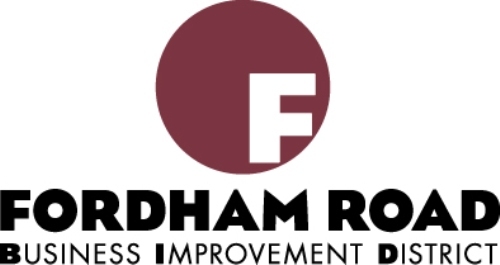 According to the Fordham Road BID’s website, member contributions go towards capital improvement projects and increased sanitation services, including graffiti removal, tree planting, and daily snow removal in the winter. The BID also provides marketing and promotions for members. The intended benefit to BID members is that by providing an elevated environmental quality, the BID increases property values and makes it easier and more desirable for customers to patronize BID-member businesses, in turn drawing new businesses to open within the BID. On April 22, 2014, the Department of Small Business Services, who is responsible for managing the City’s relationship with all BIDs, submitted the amended district plan to the Department of City Planning. On May 14, 2014, Bronx Community Board 6 voted unanimously to support the expansion plan, provided that the BID will inform the Community Board of plans to sponsor or authorize special events or activities within the expansion area if the events are likely to require municipal resources. On June 11, 2014, the City Planning Commission held a hearing for the Fordham Road BID expansion. BID Executive Director Wilma M. Alonso and BID Chairperson David Rose spoke in favor of the expansion. Director Alonso described the expansion area the BID’s public outreach efforts to gain support for expansion. She stated that “Retail tenants within the expansion area are very excited to become active BID members and community partners.” Chairperson Rose discussed the positive impact of the BID on the Fordham Road commercial area, stating that “I can see on a daily basis the tremendous impact that the Fordham BID has had on the district – our streets and buildings are cleaner, our merchants feel a greater sense of safety and pride, and businesses are improving and expanding.” No one spoke in opposition. 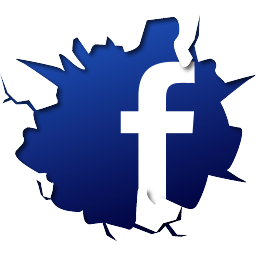 The Commission approved the plan on July 9, 2014 and forwarded its approval to the City Council for a final vote approval. According to BID Deputy Director Daniel Bernstein, the Mayor’s Office indicated that final authorization of the expansion should come in late November or early December of this year. CPC: Fordham Road BID Expansion (N140359 BDX) (Jul. 9, 2014).